Your investment in micro four thirds gear is about to pay off. And if you haven't made the leap yet, this might tempt you to do so. 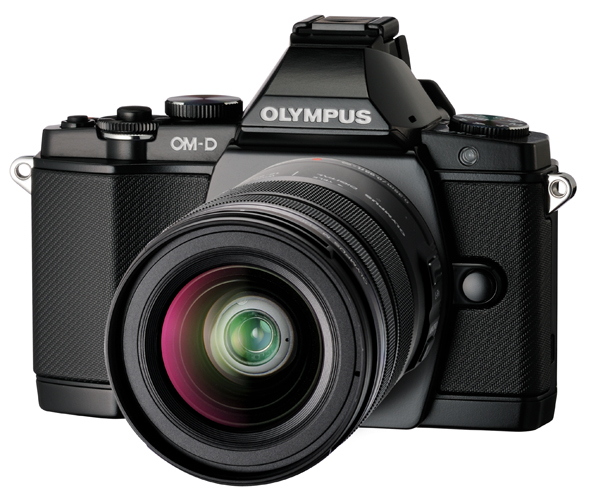 Olympus announced the OM-D E-M5 body that brings pro capabilities to the compact system camera world. The HLD-6 Power Battery Grip in the same dust and splash proof construction as the Olympus OM-D body, is an adaptable, two-part grip that can be used either as a landscape grip for easier handling or as a portrait grip with an additional shutter release. The portrait grip accommodates an extra lithium-ion battery to supplement the one in the camera body. 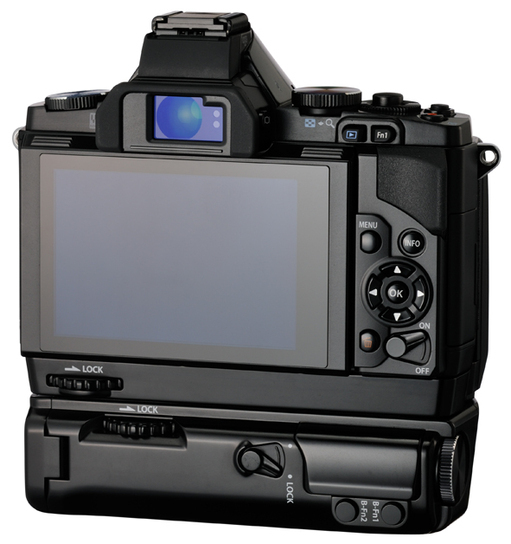 The FL-600R electronic flash (GN 50 at ISO 200 or GN 36 at ISO 100) offers improved recharge time and enhanced flexibility and operability for movie recording, and with a wireless control option. Equipped with a built-in LED, the FL-600R can be used to light movies and as a brighter AF auxiliary light. The MMF-3 Four Thirds mount adapter is designed for mounting a Four Thirds Standard-compliant lens on the OM-D body. The MMF-3 also features dust and splash proof construction. I think the best deal is the OM-D with the 12-50 mm zoom for $1,299. Currently, the 12-50mm zoom lists for $499. The OM-D body elevates micro four thirds to a new level. This rugged all-weather camera should provide the performance most serious photographers want while taking up less room in the camera bag. The pricing is reasonable, especially considering the specification. And for those of us who already have a collection of four thirds and micro four thirds lenses, the investment in the OM-D body seems like a wise one. I am really excited about this new camera. 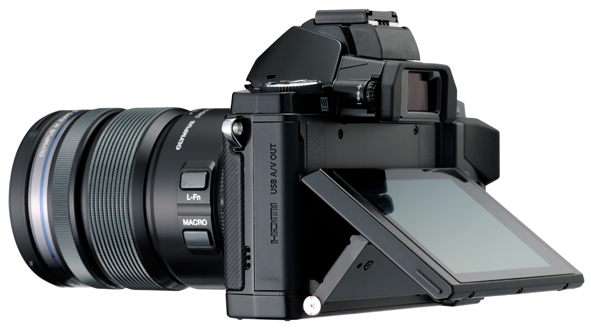 I love my E-p1, E-p2 and Panasonic G3, but this camera brings the m4/3 system to new heights. I also love the looks of the camera. I'm a long-time user of the OM system, and still occasionally use my OM-1 and OM-4Ti and am pleased that the OM-D continues in this style. The flip up LCD and built in eye level viewfinder do it for me. My newly purchased Panasonic GX1 will go on the auction block as soon as I can get the OM D.
This reminds me of the race to build a smaller and smaller cell phone, which then reversed with the advent of smart phones. Now the iPhone is criticized by some as being too small. Already have my pre-order in (not that surprising, right Derek?) I will be happy to relegate my E-P1 to backup status. Sorry for the misspell Derrick! !